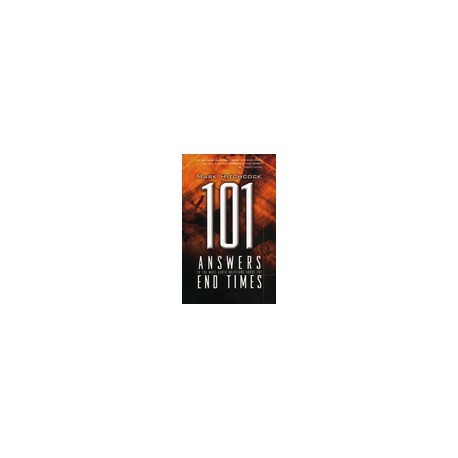 From pastor and prophecy expert Mark Hitchcock, 101 Answers to the Most asked Questions About the End Times is a balanced and biblically authoritative way to understand God's plan with hopeful expectancy and not fearful anxiety. This user-friendly guide answers 101 of the most frequently asked questions about everything from Tribulation and Rapture interpretations, to the Antichrist, Second Coming, Millennium and questions about heaven and hell. 101 Answers to the Most Asked Questions About the End Times will give you authoritative answers based on what the Bible and recognized experts have to say about tough questions resulting from Pastor Hitchcock's preaching and teaching on the end times. What are the major views on the end times? What is the number one sign that these are the end times? Are there hidden Bible codes? And if so, do any relate to the end times? At the Rapture, what will happen to babies and young children who have not believed?